No Terms, Conditions, or Annoying Emails; our book recommendations are free! Some people love to give advice. Over the years, our society has taken advice from a wide variety of newscasters, forecasters, and talk show hosts. On a more personal level, most of us have received counseling on some issue (whether we wanted it or not) from friends and family and even the occasional stranger. Unfortunately, this dispensing of wisdom doesn’t always work out in the way it was intended. Good advice gone bad (or just plain bad advice) has ruined many a friendship, family reunion, and meal. One of the few places where it is safe to ask for recommendations on something you might enjoy is the library. Book recommendations or readers’ advisory is a service that has been steadily growing over the years. This is done with an open mind and the understanding that patrons are not going to like every book they’re given. 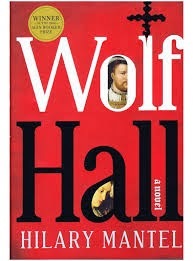 I was recently asked for a historical fiction recommendation and cited Wolf Hall by Hilary Mantel. (This title came to mind first because it’s on my personal to-read list.) It’s an award-winning book which contains the preferred setting and time frame of the requester. After a few weeks the reader determined that this particular title was not for them. That’s going to happen. It’s the danger of giving advice. The goal is to not take the rejection personally, and to have a better suggestion (like Bernard Cornwell’s Saxon Tales or Alison Weir) in mind for that person when they come back. Why are readers willing to take advice? Librarians could be considered the “Consumers Reporters” of books. Although we haven’t read every book on our shelves, patrons often think we have. What we have done is familiarized ourselves with a wide variety of authors and genres so that we can help readers. So often people fall in love with one or two popular authors and devour their books in a reading frenzy. Eventually they come back up for air and when they do, they have no idea what to read next. 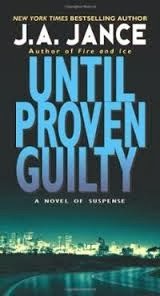 Recently a patron shared with me that they were checking out a few James Patterson books for the second or third time because they didn’t know what else to read but they knew they liked that author. Alarmed at the reading stagnation, I immediately asked him what he liked about the author in the hope that I could direct him to something new. After learning that he liked recurring characters in a series, I listed J.A. Jance, Sue Grafton, and William Kent Krueger, all authors he had never read. He grew more intrigued when I mentioned that two of the authors have series with rural or rustic settings. Although he could not be persuaded to return his “re-reads”,he left reassured that the library could help him find new authors to enjoy on his next visit. This pattern of reading only a few authors can lead to reader fatigue. This is especially true with readers who continue to follow only a few select authors. With the number of authors who are blending genres in their work, advisers should be able to open new worlds to weary readers. We must tantalize the reader’s palate with a few juicy tidbits that entice but don’t give away the main plot points in order to tempt them with something new. The next time you find yourself in a reading slump, consider getting advice from your local reading coaches at the library. We have thematic book displays to peruse, Staff Picks displays to ponder, book discussion kits to share with your friends, and a wealth of personal knowledge we’d love to share. 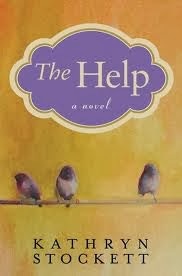 We may be able to help you find something you’ll enjoy just as much as Kathryn Stockett’s The Help or Emma Donoghue’s Room. For those who enjoy historical fiction full of action and adventure, give Elizabeth Wein’s Young Pilots series a chance. The books have danger, intrigue and just a touch of romance. Code Name Verity is about a young female spy (or is it her friend, the pilot?) who has been captured by the Nazis after crash landing in France. Rose Under Fire is the journey of a female transport pilot who gets lost and is forced down in enemy territory. 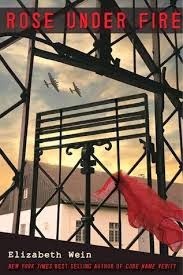 The uncaring Nazi war machine sends her to a concentration camp. Will they make it out alive?